“We thoroughly enjoyed working with your bright and enthusiastic team, and would love to work with Capstone on other projects going forwards. We were impressed with your proactive approach to solving problems and offering solutions." "On every job, large or small, a positive, professional, hands-on management approach was apparent with consistently high standards of workmanship achieved by using an experienced and well qualified team." "Working with Capstone for the first time, I have been very impressed not only by the quality of their work, but by their attentive site and office project management, and their ability to adapt their working practices and procedures to suit their clients' requirements." "When I first met Rory he told me that one of his aims was to reverse his customer's perception of the stereotypical English builder, of which I have particularly painful experiences. He couldn't have succeeded better. I would recommend him and his team whole heartedly." "We have been thoroughly impressed by your professionalism, genuine concern for our interests and acute attention to detail." "You and your staff approached the work and any issues with openness, honesty, a can-do attitude and good humour which was both refreshing and extremely welcome." "We were very happy with the final outcome of our apartment. The renovation was a smooth process and Capstone were outstanding throughout, showing excellent attention to detail and strong initiative which is crucial when we were not there to oversee the project. Capstone is a first-rate company and we will endeavour to use them in the future." "It has been a real pleasure working with you on this project and I hope that we will be able to continue working together in the years ahead. 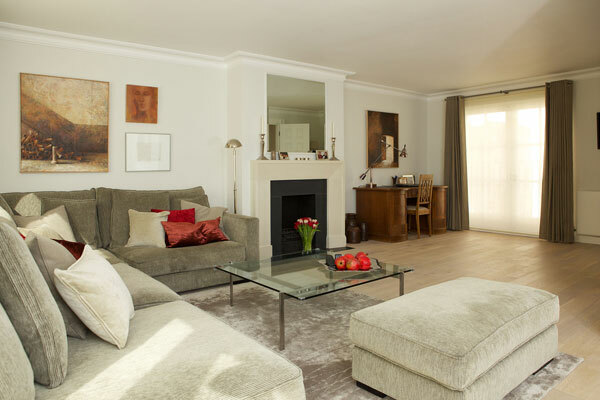 I know that Fiona is absolutely delighted with the outcome, as am I. I have worked in a professional capacity in Mayfair with builders for 25 years, and I have never come across a firm like yours."